A gift of bithright Israel. View our promotional video. 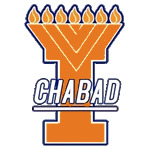 Chabad at U of I is proud to offer free & fun 10-day tours of Israel. These trips are a gift of Birthright-Israel and facilitated by Mayanot . Hundreds of U of Illinois have chosen Mayanot and with good reason! Yes, the program is free. This includes airfare on El-Al Airlines, accommodations at quality hotels, and almost all meals. A $250 fully refundable deposit is required, and is returned after the program. Students will need to arrange their own transportation to the city of departure, and are expected to pay for several of their own meals in Israel. That's it! Yes! You can invite your friends from other schools to go with you! Just ask them to sign up with Mayanot, and send an email to birthright@mayanotisrael.com. If the group dates don’t work out with your personal plans, you can choose to go on another date with another school, or you can wait until the next round of trips. Mayanot has been providing adventurous and educational experiences to students Israel since it’s inception in 1996. As one of Taglit-Birthright-Israel’s largest providers. Mayanot's Birthright-Israel tours are open to all Jews, regardless of background, affiliation or practice. The trips are co-ed and are catered to non-affiliated participants. Mayanot’s welcoming approach and excellent track record of attention to detail help ensure that Jews with varying beliefs and observance levels are able enjoy the program—together. Mayanot believes that a diverse, pluralistic group of participants makes the experience a much richer one and therefore regardless of your background or denomination you will feel at home on this trip. Visit www.mayanotisrael.com for more information and to sign up! To ensure that you are part of our group, make sure you enter "U of I Campaign" in the Referral code box on your application. Absolutely. Just email israel@Jewishillini.org and we will be glad to connect with you with an alumnus of the program. Send an email to israel@Jewishillini.org with your question and we will hasten to answer them!